Entering the cooking contests at the fair is just a hoot, and it is fun to see the ideas of all the contestants. This year the theme for the Egg Competition was Anything Goes, so no restrictions as to what you did with eggs. 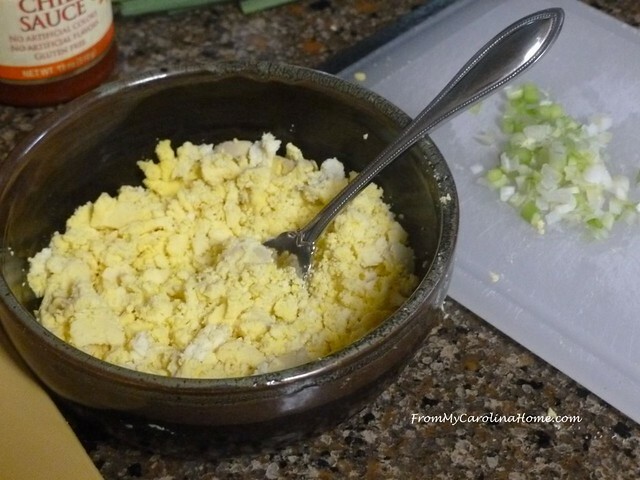 Last year, contestants had to make egg salad. 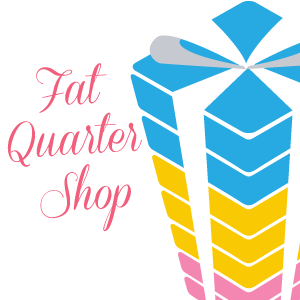 This year contestants entered quiche, breakfast casseroles, deviled eggs and more. 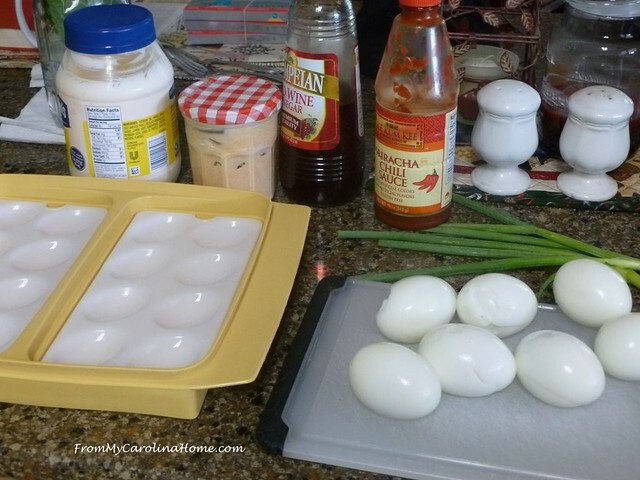 I decided to do a deviled egg dish, using my Perfect Deviled Eggs recipe with some specific choices for base, heat, add-ins and add-ons. DH says I have become addicted to sriracha sauce, and he may be right, LOL!! I prepared the eggs, mashed the yolks, and added the other ingredients. My egg carrier has 16 slots, but the recipe makes 12 deviled eggs, so I filled the empty slots with fresh parsley from my garden for presentation. 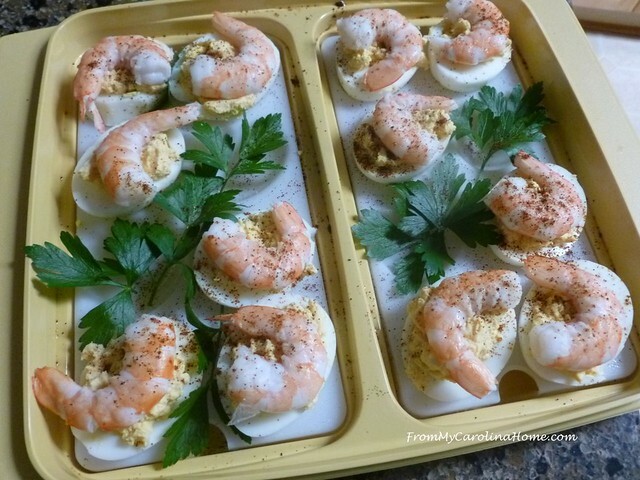 Each egg was topped with a large cooked shrimp, then sprinkled with paprika and a bit of chipotle chili powder. I got to the competition turn-in space in plenty of time. There had been rain earlier in the afternoon, and that may have kept a few contestants from coming. There were 17 entries in the competition, mine is on the right in this photo, #7. More came in later. Judging is done behind a wall of curtains, not for public view, and takes about an hour. So we walked around the fair a bit seeing a couple of bands, the Human Cannonball, and then loitered around the presentation stage looking at the egg displays. Fun fact questions – can you guess this one? 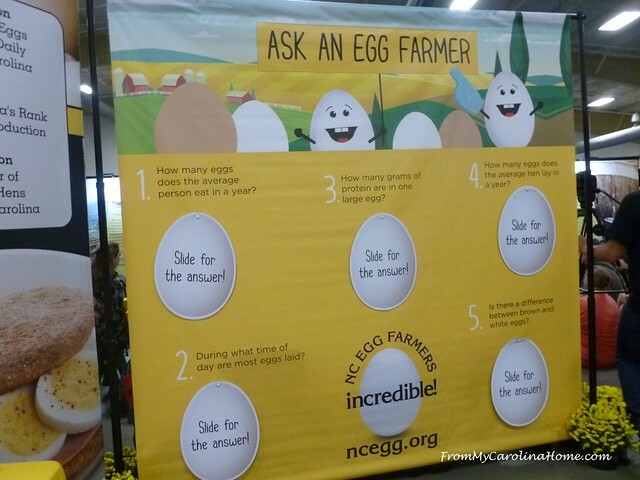 How many eggs does the average person eat in a year? Answer – 274!! You have to count all the things eggs are put in as well as those you eat for breakfast. Things like breads, cakes, chicken batter for frying, and more have eggs as an ingredient. After an hour or so, the judges came out with the hostess for the presentation. I was thrilled to get a third place for my eggs!! The first place lady did Italian Stuffed Eggs with ricotta instead of mayonnaise and topped with olives and Parmesan cheese. Second place was an Asparagus Quiche. They gave us aprons with Incredible Eggs embroidered at the top. 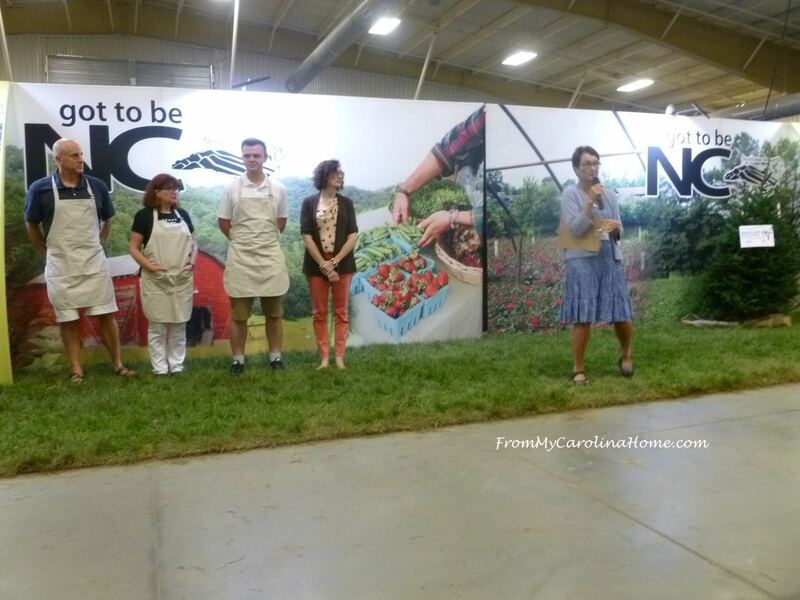 Then, last night was the NC Blueberry Council’s competition for the Blueberry Recipe Competition. I entered this competition last year and came home with a third. This year the rules again said that 50% of the score would be for Healthy, with 25% Taste and 25% Ease of Preparation. You’ve seen this basic recipe before on the blog during the Japanese Inspired February event. 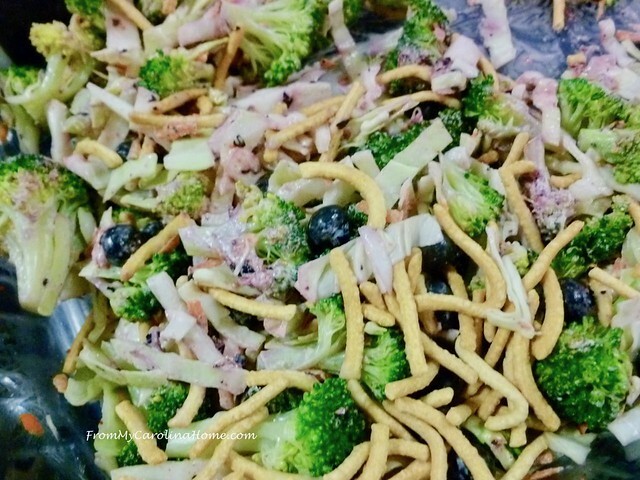 I used my Asian Broccoli Cabbage Salad recipe, with some blueberry modifications. The dressing has blueberries in it, and I put fresh ones in the slaw. We got to the competition area in plenty of time. 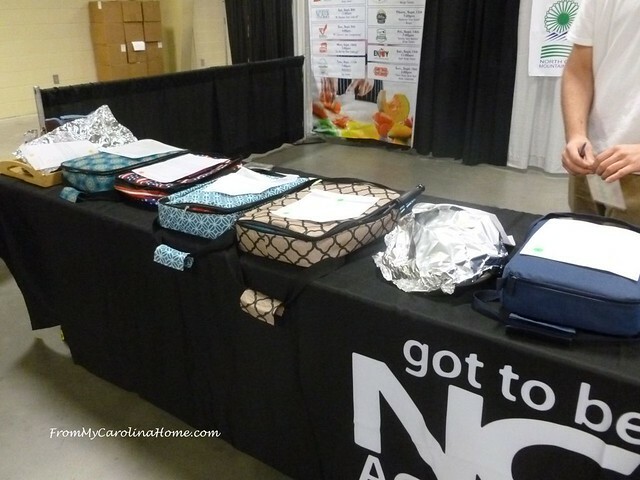 It was fun to see pictures running on the screen of winners and food from entries earlier in the week. They took a really long time judging this one, what was supposed to take one hour took an hour and 45 minutes! Contestants were chatting for the last half of the wait time and we figured competition must be particularly stiff. But eventually, the judges and hostess came out to announce the winners. Third place then second, then, OMG!! My name was called for First Place!!! Have you ever entered a cooking contest? Congratulations! I’m so excited for you. This was my first year entering anything in a fair, my dahlia took 1st and I was thrilled! Congratulations! You are such a fearless and innovative cook. Congratulations, Carole!!! 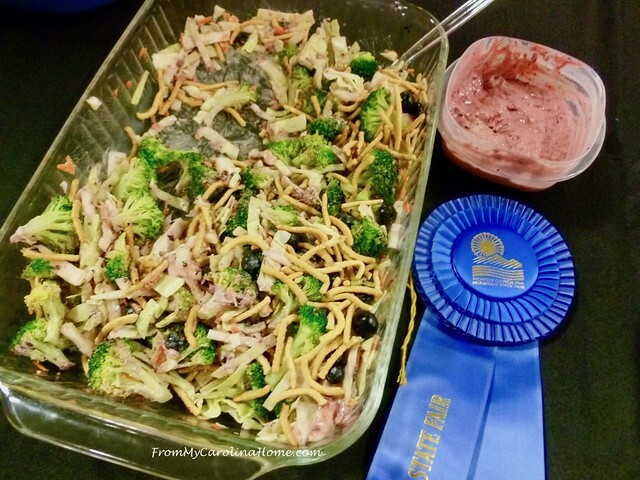 My daughters love broccoli slaw AND blueberries and I’m passing this recipe to them. Congratulations! That’s wonderful. We have a dozen blueberry bushes so I will have to try your recipe. Unfortunately, someone stole a lot of our blueberries this year. I only got the first picking. When we were gone for a couple of days they came in and stripped every bush- ripe berries and non ripe blueberries. We were very upset. Well done Carole! 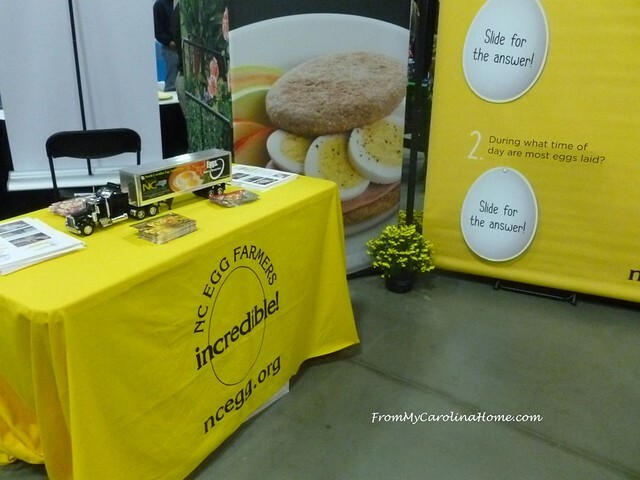 All good ideas, and I really liked your fellow contestant’s use of ricotta in her deviled eggs…interesting! I love ricotta but never thought to substitute for the mayo… watching storm coverage now and hoping for the best. 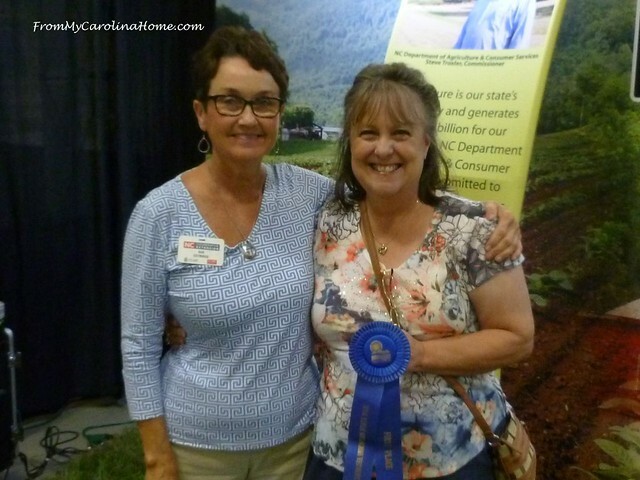 Carole, I am thrilled that you took home the Blue Ribbon for your slaw and the white for the delicious looking eggs, although I will pass on the Siracha please. Now I can’t wait to try the Broccoli Slaw, which I will do over the weekend. Have all the other categories you’ve entered been judged already? Hopefully you won’t have any serious issues because of Florence. Congratulations on both your wins, Carole. 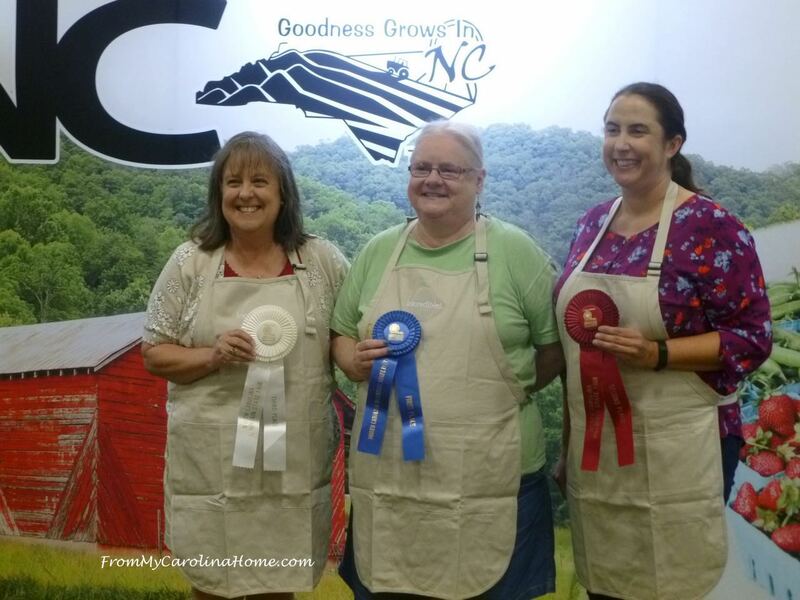 Congratulations on your wins at the fair…..So enjoy reading about your adventures…..You do enjoy life, which is good….Pray you survive Florence & all the aftermath……Dot M.
Congratulations on your wins! Both of your dishes are very creative. Three cheers for you and the yummy-looking dishes! So happy for you that your efforts were rewarded with ribbons. Will have to try them when we get home from our trip. 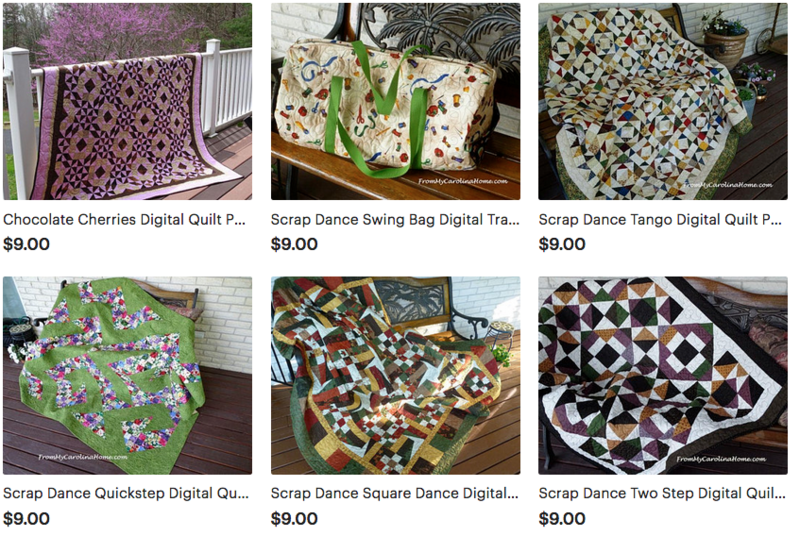 Have had fun making up two of the hexagonal table toppers, one for fall and one for Christmas; ready to quilt when I get home. Hope the storm passes you without much damage. That’s awesome Carole, Congratulations. I printed out your recipe and will be giving it a try. And do you know I love mine too. Since having it and doing hard boiled eggs every single one comes out perfect! No more stubborn membranes or hacking marks left on the outside. There is no affiliation but here’s the brand: Elite Cuisine EGC-007 I bought and love! Congrats on the ribbons and both pictures of you are adorable. That has to be the fanciest deviled egg recipe I have ever seen. And many congrats for your first place in the blueberry contest!! WOW! 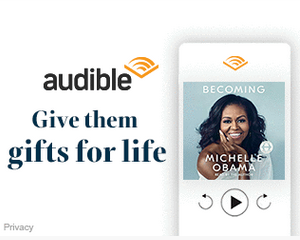 That is one of those recipes that sounds so different it must be great! Yay! Congratulations, Carole! You are so amazing with all the things you create! What a fine showing! Your family must eat well. Congratulations. Hello Carole; Congratulations! I am so thrilled for you, I sure wish that I could give you big hugs and see that beaming smile in person! Hubby sends his congrats also! 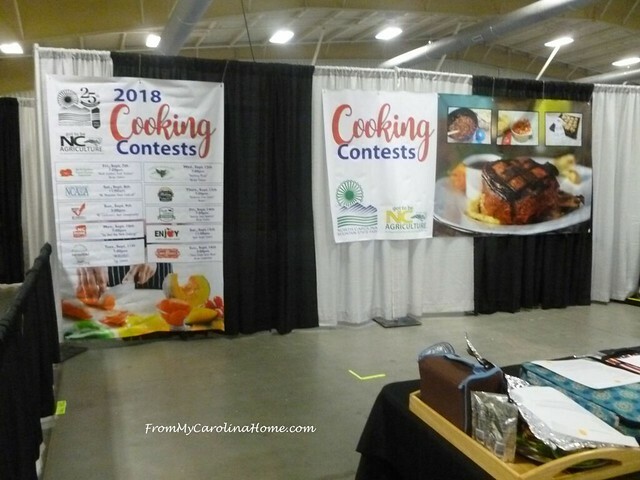 Are there any more cooking events for you to enter? Plus, what about all of the other events that you entered, I hope I did not miss a post that you shared. I am so proud of you, Carole! You are a spectacular leader. 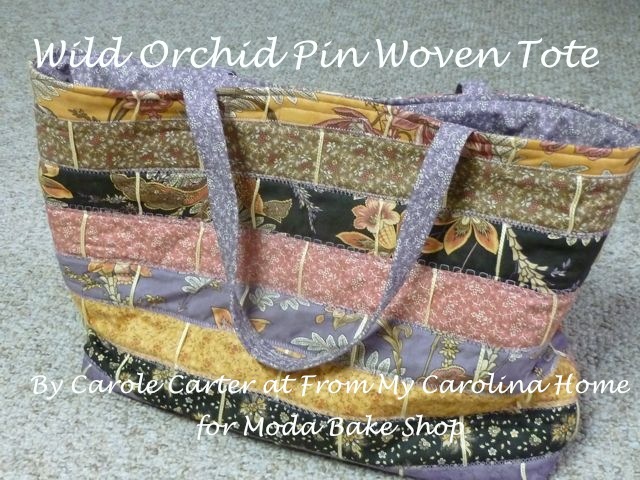 I am off to pin and then sew together the last sashing row on the Cal. 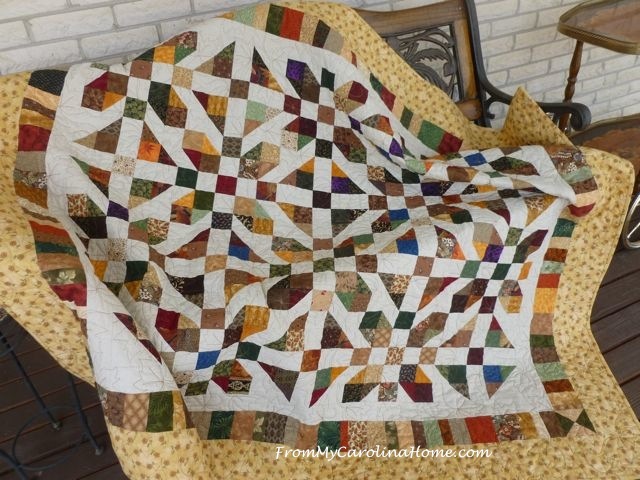 King quilt. It is starting to really come together nicely and I have a “hopefully” great idea for the border with scallops. Have a spectacular day and hope that the weather is being kind, sending prayers for all! Congratulations on your third place AND your FIRST PLACE!!!! Spectacular! Congrats. 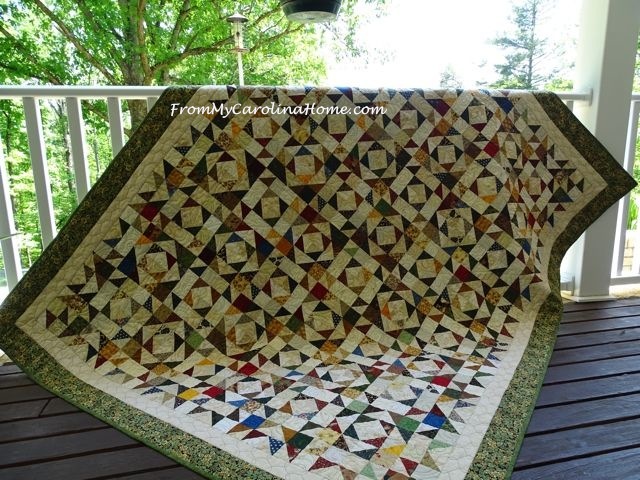 How did you do in the quilt competition? I haven’t been able to get over there as both sisters became evacuee’s from Myrtle Beach and have been staying with me. Congratulations on your win, well done!! Congratulations! Two well deserved wins.. the recipes sound fantastic. Thanks for sharing them too! Fantastic effort. Always enjoy reading your posts but am too lazy to cook. Well done. 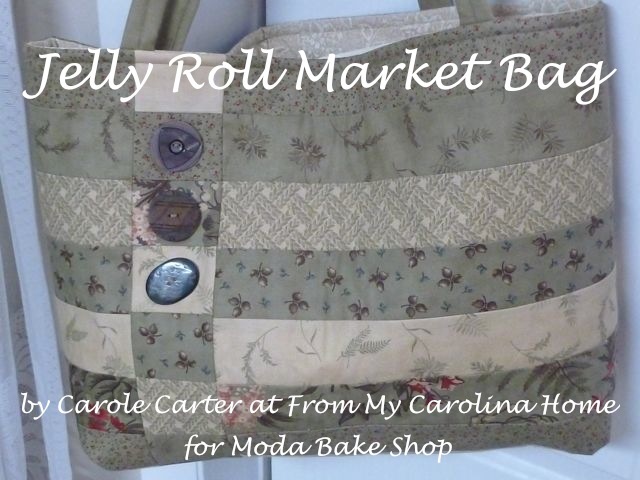 How great, Carole! Congratulations. Well done and well deserved. You always do beautiful presentations too. 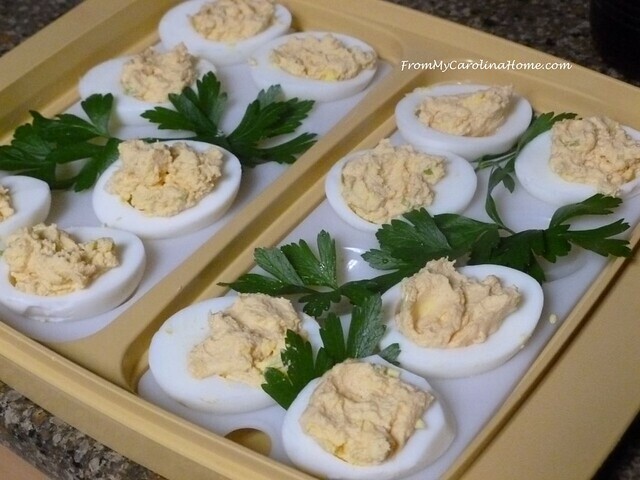 I’ve read your recipe for Perfect Deviled Eggs with Variations, and will try it soon. They sound so yummy! Congratulations. Both dishes look yummy. Thanks for making the Fair better! And sharing your experience with us. I feel privileged to test your food experiments. LOL Congratulations! Wow! Congratulations on your ribbons – I will make copies of both recipes. My kids were in 4-H and entered many foods thru the years. 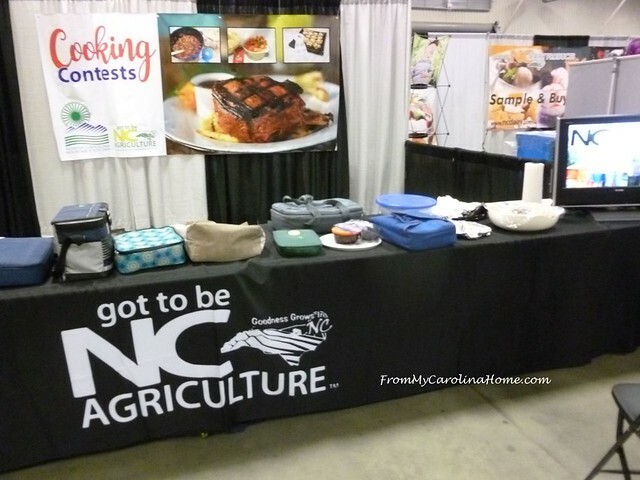 I have only entered baked and canned items as we do not have “fresh” food competitions in open class here.